PITTSBURGH—Carnegie Mellon University physicist Rachel Mandelbaum was awarded a five-year, $750,000 grant from the U.S. Department of Energy (DOE) to study the elusive dark matter and dark energy that make up the majority of the universe. Mandelbaum is one of 68 researchers nationwide to receive funding from the DOE's Early Career Research Program this year. The program, which has been in place for three years, provides funding for outstanding scientists within 10 years of completing their doctoral degree. "The funding from the DOE will support my research into some of the key mysteries in the field of cosmology," said Mandelbaum, who is an assistant professor of physics and a member of the Bruce and Astrid McWilliams Center for Cosmology. "This generous support will allow me to work with some of the major ongoing and upcoming astronomical surveys in order to study the nature of dark matter and dark energy." Mandelbaum's ongoing research focuses on weak gravitational lensing. When light from distant galaxies travels through the universe, its path becomes deflected as it passes by massive objects like large galaxies. This effect, called weak gravitational lensing, results in small distortions in how we observe distant galaxies from Earth. When carefully measured, weak gravitational lensing is the most direct way to study the distribution of dark and ordinary matter in the universe. Mandelbaum will use data collected from several large astronomical spectroscopic and imaging surveys including the Sloan Digital Sky Survey III's Baryon Oscillation Spectroscopic Survey and the Hyper Supreme-Cam at the Subaru Telescope to measure weak gravitational lensing. She will then combine her results with other cosmological observations to provide a better understanding of the nature of dark energy. The findings will help to inform future research by next-generation astronomical imaging surveys, like the one set to be completed by the Large Synoptic Survey Telescope. 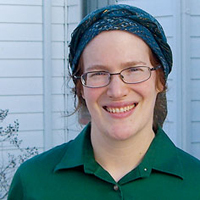 The DOE Early Career Award will support Rachel Mandelbaum's research into some of the key mysteries in the field of cosmology.